Salvation Army Major Irvin on the way to flood ravaged Texas. The Salvation Army is preparing for the largest mass feeding in U.S. history in the wake of catastrophic flooding in Texas from Harvey. 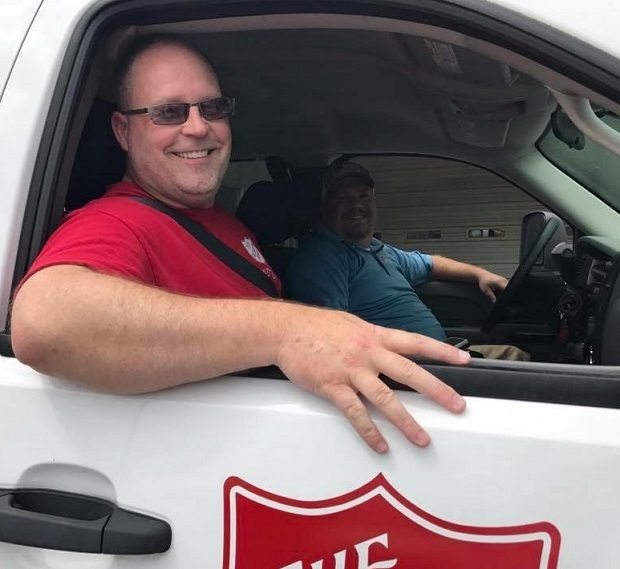 Major Joe Irvin with the Salvation Army of Rutherford and Cannon Counties, has been deployed to provide disaster services for two weeks. "I am honored to be representing the volunteer state during this unprecedented disaster," said Major Joe Irvin, commanding officer for The Salvation Army of Rutherford and Cannon Counties. Major Irvin will be joining other Salvation Army emergency disaster services personnel from across the nation to assist with Hurricane Harvey relief and recovery efforts in Texas. A large number of Texas Salvation Army Divisional resources are already on the ground serving throughout Texas. Salvation Army commands from across the nation are planning and preparing to provide additional personal, mobile feeding units, mobile kitchens, shower units, and bunkhouses for ongoing relief efforts.